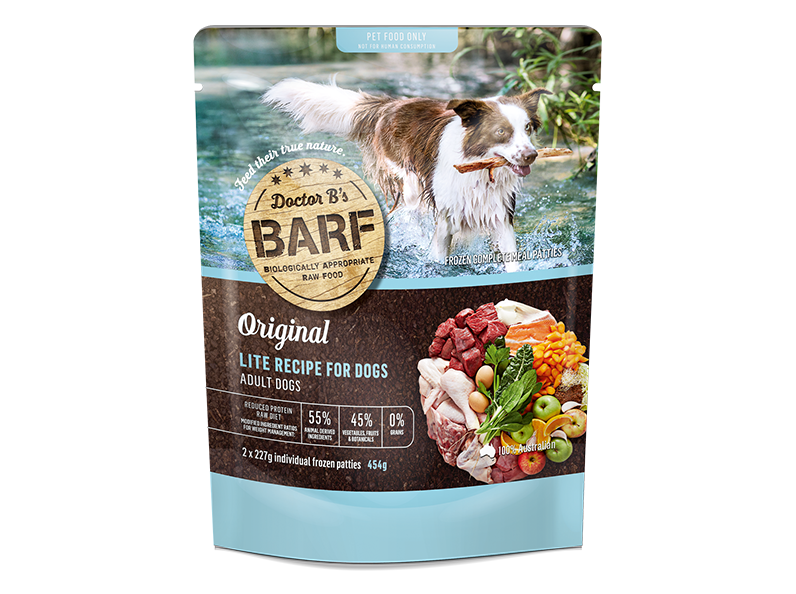 Doctor B’s Lite Recipe BARF is a tasty, low calorie, reduced protein, reduced phosphorus, increased fibre, raw, enzyme rich whole food, suitable for adult dogs. It contains more low GI vegetables and fruit than other Doctor B’s BARF varieties, for increased soluble and insoluble fibre to help keep the gut healthy, promote a feeling of fullness and stabilise blood sugar levels. Levels of crushed raw chicken bones are reduced; sufficient to meet an adult dog’s calcium and phosphorus needs, but too low for growing pups, pregnant or lactating females.